Injuries can occur in a variety of ways and in a variety of locations, often when you least expect it. Any time you are injured due to the negligence of another person or entity, you should be compensated. 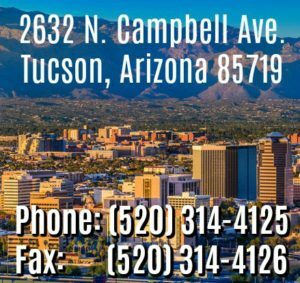 If you would like a evaluation of your case by an experienced attorney, call us at 520-314-4125 or contact us online. There is no obligation and we take these cases on a contingency fee basis, so you pay us nothing unless we win. A property owner has a duty of care towards the property’s occupants. He or she is responsible for ensuring that the property is free of hazards. These hazards can include anything from broken playground equipment to wet, slippery floors. The owners and operators of public and private pools, for example, may be liable for an injury or drowning at their pool if the injury or drowning is caused by their failure to maintain the poll and/or failure to complying with safety regulations. In the case of some commercial establishments, there may be a duty to provide adequate security to protect patrons from assaults and other criminal behavior. If you are injured as a result of a property owner’s negligence, call us for a free case evaluation to determine whether you might have a claim. If a commercial establishment, or even the host of a private party, serves alcohol to someone who is underage or is obviously intoxicated, they can be held liable for any injuries caused by that person. This can even extend to injuries caused by DUI accidents in which the intoxicated person is later involved. Animal attacks, especially dog bites, are a fairly common sources of injury, particularly among children. Damages caused by animal attacks can be severe, physically and emotionally. In Arizona, the owner of an animal is strictly liable for any injuries the animal causes, wherever they occur. There is a one-year time limit to make these types of claims, so it is important to contact an attorney as soon as possible.